You have your eyes on the wrong King Saul. As long as you look at your king, you will blame him, and him alone, for your present difficulty. Be careful, for God has His eyes fastened sharply on another King Saul. Not the visible one standing up there throwing spears at you. No, God is looking at another King Saul. One just as bad–or worse. God is looking at the King Saul in you. Gene Edwards, The Tale of Three Kings: A Study in Brokenness (Augusta, ME: Christian Books, 1980), 21. Life Lesson: God allows a Saul in your life in order to kill the Saul in you. Proposition: What is the law of consequence and how does God use authority to transform our character? How does God make me into a man or woman of God? Fallen Condition Focus: God sovereignly uses circumstances to deal with our selfish selves. 1. Heart for God Forsaken (Gen. 28:17). At Bethel, continuous communion with God is rejected. Jacob is not ready to make Yahweh, the God of his grandfather, Abraham, and his father, Isaac, his sovereign Lord and Ruler.Jacob still wants to run the show. Jacob sidesteps the opportunity of having God as his the constant, conscious companion. 2. Heart of Manipulation Exposed (Gen. 28:20). Bargaining with God betrays Jacob’s manipulative, deceptive, and untrustworthy character. Jacob’s heart is not yet consecrated to God and his purposes. Definition: Consecration isthe abandonment of my life without reserve to the loving purposes of God. A conviction held deep within my being that my life is God’s. I do not reserve from Christ’s Lordship any rights, gifts, possessions, relationships, or privileges. The whole man must make the decision before the heart can know any real satisfaction. God wants us all, and He will not rest until He gets us all. No part of the man will do. 3. Heart Problem Disciplined (Gen. 29:5). Jacob is excited about finally meeting his family at Paddam-Aram. Little does Jacob know that he has finally met his match in Laban. God allows a Laban in Jacob’s life in order to kill the Laban in Jacob: a twenty-year school of discipline (Gen. 31:41). Definition: Brokenness is a heart yielded to God; ready and willing to obey the Holy Spirit whenever and wherever He directs. By nature, we are so strong, so able to think and plan and do, and God must bring us to the place of weakness, the place where we cannot think or plan or do apart from him. 4. Heart Trust Betrayed (Gen. 29:22). Jacob reaps what he sows (Gal. 6:7). Laban’s wedding deception mirrors Jacob’s own deception of Isaac (Col. 3:25). Definition: Consequences are the result of my actions. Sinful choices will revisit me as others do to me what I have done to others. No one sees my selfish actions. I am not caught. I pretend to myself that everything is okay. However, God is all seeing and all knowing, he makes sure that I am penalized for my selfish acts. The Lord makes certain that selfish actions are exposed. Be not misled: you cannot mock the justice of God. You will always harvest what you plant. Those who live only to satisfy their own sinful nature will harvest decay and death from that sinful nature (Gal. 6:7, NLT). For the wrongdoer will be paid back for the wrong he has done, and there is no partiality (Col. 3:25, ESV). 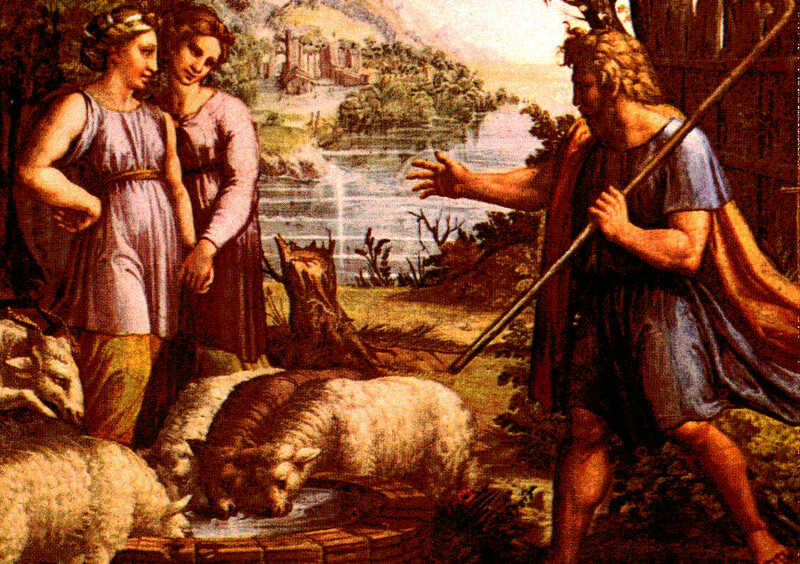 Jacob receives at his wedding the consequences for the deceptive actions of stealing Esau’s ancestral blessing (Gen. 27:1-38): he pretended to be Esau and Leah pretends to be Rachel, his bride. Jacob deceptively wears Esau’s clothing and Leah wears Rachel wedding dress. Jacob, the younger, steals Esau, the older brother’s blessing. Leah, the older, marries Jacob instead her younger sister, Rachel. 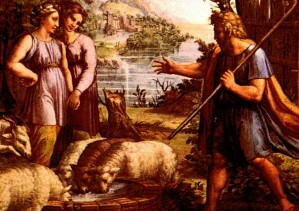 Jacob exiles himself as he flees Esau’s wrath, and now, Jacob will live twenty years as a de facto slave to his father-in-law, Laban, as dowry payment for the two sisters. 5. Heart Plan Delayed (29:30). Jacob will not return home in matter of days as Rebekah reasoned (Gen. 27:44). God has a plan that plan involves molding Jacob’s character and defeating his fleshly pattern of manipulation, deception, and lying. Application: What do I do if I find myself living in a cycle of sowing and reaping, reaping and sowing? Repent at the foot of the Cross. If I repent, God takes the sin I committed, uses that painful failure, and transforms that situation for his glory and my good. It is not God’s will that I sin. However, if I repent of my selfishness and pride, God can use my self-imposed disaster for my good. By faith, the law of consequence is nailed to the Cross and the cycle of endless retribution ends. You were dead because of your sins and because your sinful nature was not yet cut away. Then God made you alive with Christ, for he forgave all our sins. He canceled the record of the charges against us and took it away by nailing it to the cross. In this way, he disarmedthe spiritual rulers and authorities. He shamed them publicly by his victory over them on the cross (Col2:13-15, NLT). Conclusion: God places in authority people who have the same weaknesses in their lives that I have in mine. He uses their weaknesses to put to death the same sinfulness in me. This entry was posted in A. W. Tozer, Brokenness, Jacob, My Sermons, Sanctification, Surrender, The Cross, Watchman Nee and tagged A. W. Tozer, Christian Growth, Counsequences, Jacob, The Cross, Watchman Nee on October 25, 2008 by GlennDavis.